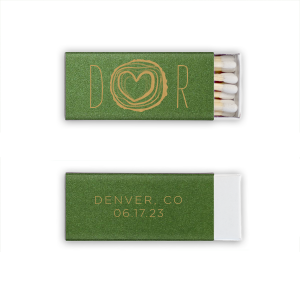 Pair your initials with our Tree Heart graphic for a seamless detail in your forest or greenery theme. Add the location and date for a personal touch to your destination wedding. 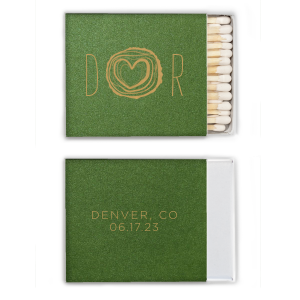 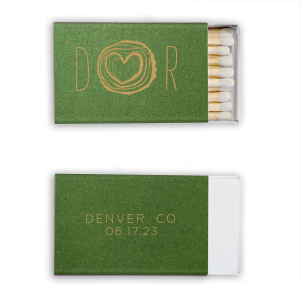 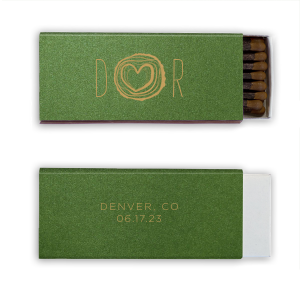 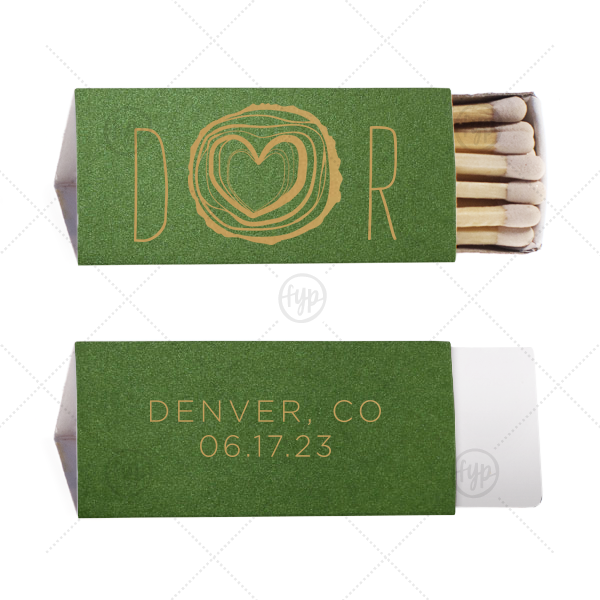 Include your custom matches in wedding welcome bags or give out as personalized wedding favors.